Read the book before seeing the movie. Although I had an idea about the ending because someone told me there was a twist at the end I was still very surprised at the ending. Saw the movie after reading the book and was still surprised but was still able to follow the movie better than the person who was with me & hadn't read the book. 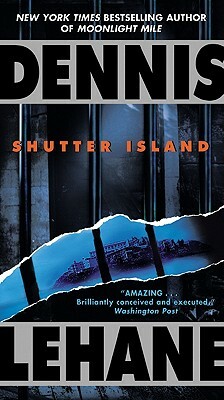 Shutter Island is everything a genre novel should be. Mr. Lehane has created a taunt, tension-filled, page turner with twists and revelations around very corner. Add in a likable, complex hero, crisp dialogue and an ending that will knock your socks off and you have the perfect novel. Don?t bother reading the reviews, most of which give away too much of the plot, buy the book and start reading. This book is so well written that you identify with U.S. Marshall Teddy Daniels. You are at his side as he goes on his quest to this forbidding island with its hidden secrets and collection of unfathomable characters. You feel his fear as he becomes trapped there. You stumble with him along treacherous cliff top paths amidst the gathering storm. You feel his confusion as friends become foes...and nothing prepares you for the final mind-numbing twist. This book is a must read for you mystery/thriller/psycological/ fans out there. I would highly suggest that you read this book before the movie comes out. This story leads you down one direction while in the end you find out you've been misleaded, it'll keep you turning page after page.